From November 21st through December 19th, Santora CPA Group held its Annual Year-End Clothing Drive. Everyone was asked to bring in their gently worn clothing. It was another huge success! We collected over 360 pounds of clothing! Kathie loaded up her SUV and dropped off the bags and boxes at The Clothing Bank of Delaware in Wilmington on Thursday, December 21st. Lots of folks really came through cleaning out their closets, as you can see by the photo! The ladies who helped unload everything were very grateful! Like we always say, we have the most generous employees around! The Clothing Bank of Delaware has three primary missions. First, it serves as a clearing house for the collection and distribution of donated clothing and a delivery service to those community agencies in direct contact with individuals and families in need. Second, it provides entry level employment and training to women re-entering the work force. Third, it creates volunteer opportunities for churches, businesses and community organizations. 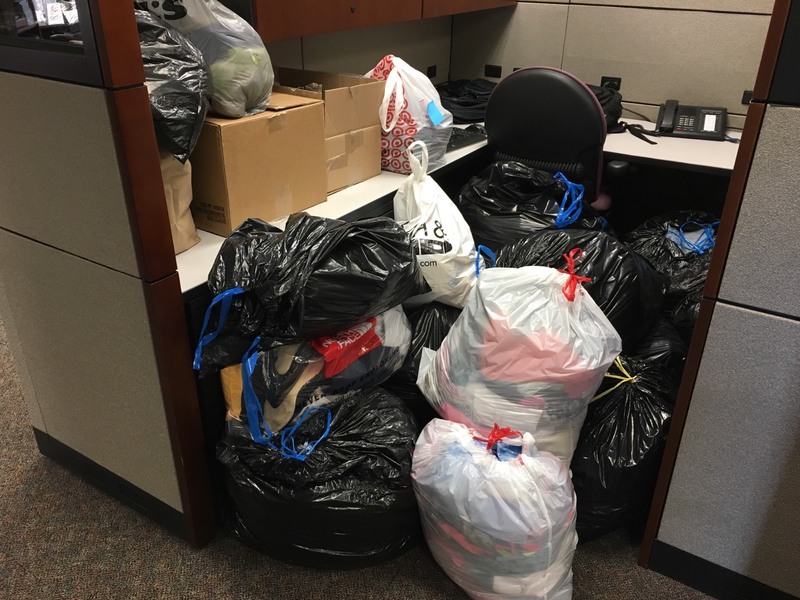 If you’re interested in donating, clothing donations are accepted at 1603 Jessup Street, Suite 3, Wilmington Monday through Thursday 7:00 am to 3:00 pm.